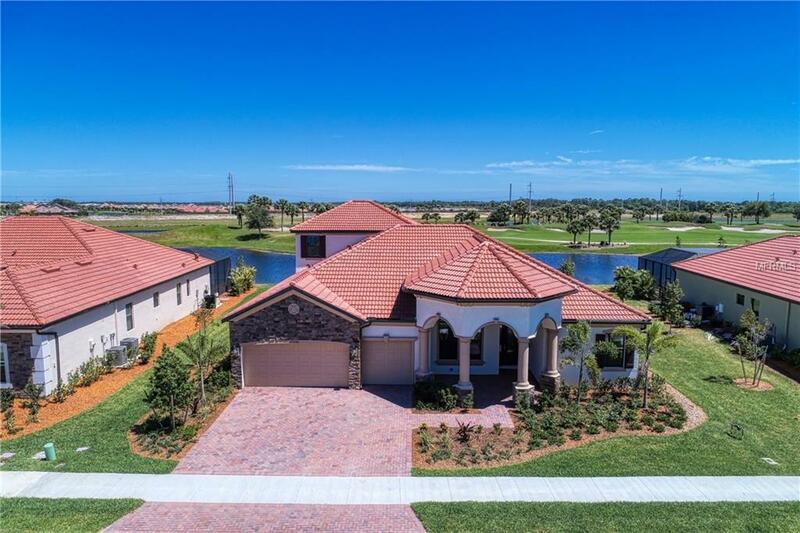 Prepare to be blown away by this BRAND NEW Golf Estate home located in the guard gated community of Sarasota National. This home INCLUDES GOLF MEMBERSHIPS and boasts 4 bedrooms, 4 full bathrooms, upstairs bonus room with kitchenette, and a stunning pool and spa, all overlooking a tranquil water and golf course view. Inside you will find beautiful upgrades, such as plank tile flooring throughout all of the main living spaces, 8 foot interior and exterior doors, large walk-in closets with wood shelving, HURRICANE IMPACT WINDOWS, and upgraded kitchen with designer cabinetry, sparkling granite, and stainless steel appliances. A large 3 car garage with an industrial epoxy floor is sure to impress. Why would you buy a used home, when you can purchase this brand new home which comes with a FULL ONE YEAR BUILDER WARRANTY, as well as builder incentives that will help to cover your closing costs. 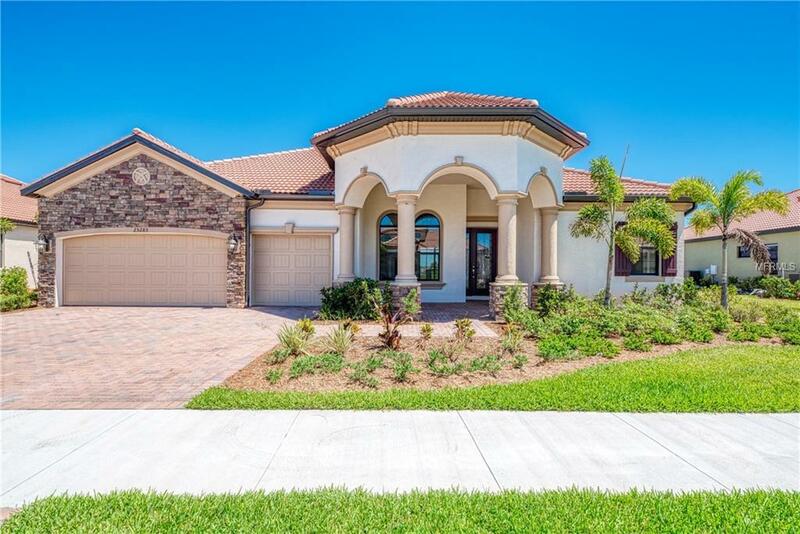 The curb appeal is on point with stucco and stacked stone exterior, accented by a beautiful paver driveway with designer landscaping. 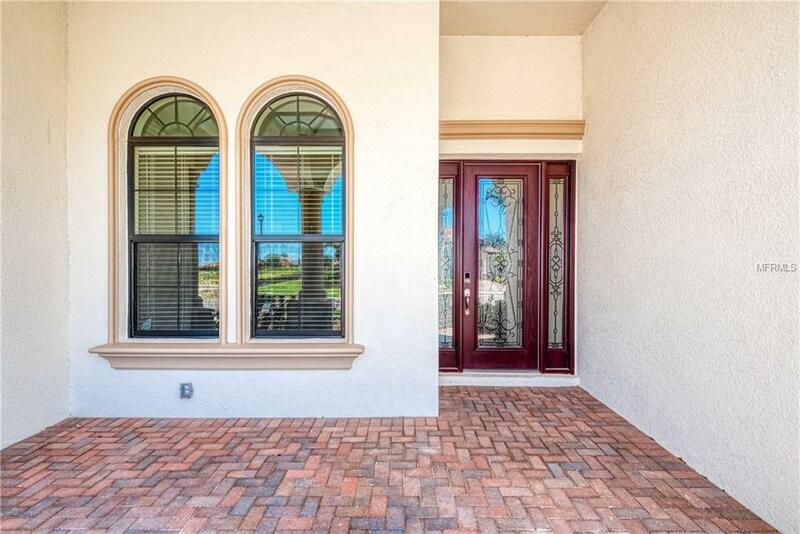 Live maintenance free, as this home includes weekly mowing, trimming, edging, and irrigation, as well as quarterly fertilization and yearly re-mulching. 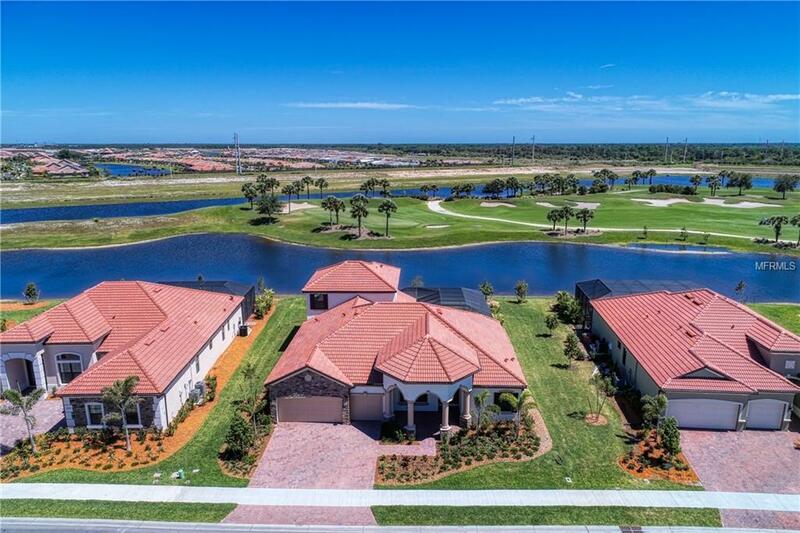 Sarasota National is a 2400 acre Audubon Bird Sanctuary that features resort style amenities, such as outdoor tiki bar, zero entry resort style pool and spa, 7,000sf Fitness Center, on site day spa, coffee house, bocce ball, pickle ball, tennis, fine dining, dog park, miles of trails, and so much more! Start living your Florida dream today!